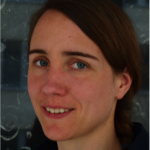 Maren Brehme is PostDoc at the International Center for Geothermal Research at GFZ Potsdam. She holds a Dipl.-Ing. (Hydrogeology) from TU Berlin and a Dr. rer. nat. from University of Göttingen (GAUSS). Areas of her expertise are geothermal reservoir characterization, enhancing reservoir performance and its sustainable use. Those include also broad experience in hydraulic, thermal and chemical data analysis and a fundamental background in thermal-hydraulic reservoir simulations. 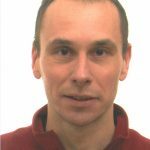 Pierre Durst is currently working in geochemical and hydrogeological modelling in the field of geothermal energy as well as on potential risks and impacts related to geothermal exploitation. After a PhD on geochemical modelling on the Soultz-sous-Forêts geothermal project he worked five years on geochemical and reservoir modelling related to CO2 storage, then four years on hydrogeological modelling related to water resources management and geothermal resources assessment. Éva Hartai is a geologist, EurGeol, Honorary Associate Professor at the Institute of Mineralogy and Geology, University of Miskolc. She got an MSc degree from Eötvös Loránd University, Budapest, Hungary and a PhD from the Technical University Kosice, Slovakia. Her research area is ore geology. 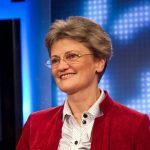 She has 40 years of teaching experience at University of Miskolc, leading courses related to basic geology, environmental geology, geochemistry and mineral resources. She is the coordinator of the EFG Panel of Experts of Education, and the editor-in-chief of the European Geologist journal. She has taken part in several EU-funded and national projects, in most of them as a coordinator. Recently she coordinates the CHPM2030 project. 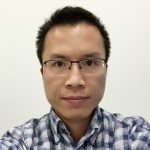 Xiangzhao Kong is currently a senior scientist in Geothermal Energy and Geofluids (GEG) Group in the Institute of Geophysics, ETH Zurich, Switzerland. After receiving his Bachelor and Master degrees in Thermal Science & Energy Engineering at the University of Science & Technology of China in Hefei, China, he earned his doctorate in 2010 under the supervision of Prof. Dr. Wolfgang Kinzelbach in Environmental Engineering at ETH Zurich. From 2010 to 2013, he worked as a postdoctoral researcher in the Department of Earth Sciences at the University of Minnesota. Then he joined the School of Civil Engineering at the University of Queensland as a Research Fellow (Level B) in Brisbane, Australia. In 2015, he moved back to Zurich and joined the GEG Group in ETH Zurich. Ben Laenen graduated as a geologist in 1992 and obtained a PhD in Sciences – Geology in 1997 at the Catholic University of Leuven (Belgium). His PhD thesis dealt with the geochemical signature and origin of sequence stratigraphic cycles recognized in the Boom Clay, a Rupelian clay deposit that outcrops in North Belgium. During his PhD, he specialized himself in the sedimentology, the chemical and petrographical characteristics of unconsolidated sediments and organic geochemistry. After his PhD, Ben Laenen worked 2 years as a post-Doc at the University of Köln (Germany). He studied secondary oil migration in the Bashaw Reef complex (Alberta, Canada). Since 2000, Ben Laenen is employed as a researcher at VITO. He started as junior researcher in the Raw Materials group of the Energy department, mainly working on GIS related project, data management and 3D modeling of the subsurface. From 2006 till 2010, Ben Laenen worked as project leader in the Resources group. He planned and coordinates projects in the fields of geological exploration, gas- and CO2-storage, waste conversion using CO2 and geothermal energy. In September 2010, he was promoted to position of research coordinator. He is now responsible to define and elaborate the strategic research programs of VITO in the fields of deep geology and geothermal energy. Giordano Montegrossi, expert in thermodynamics, geochemistry, geochemical modeling and reservoir engineering. Currently working at the Institute of Geosciences and Earth Resources (IGG), an institute of National Research Council of Italy (CNR). The main research activity fields are investigation of geothermal system and CCS, focusing on reservoir engineering and water rock interaction. Other interests involve software developing for high temperature and high pressure modeling. The recent activity in EU project are geochemical modeling and reservoir engineering in IMAGE (EU-FP7 GA N°: 608553), DESCRAMBLE (H2020 GA N°640573) and GEMEX (H2020 GA N°727550). Justine Mouchot is a junior scientist with a Master degree in Earth Sciences, focused on Fluid/Rock interaction and Petrophysics from University of Strasbourg (France). Miss Mouchot has a five-year experience in applied underground usages (deep geothermal energy and CO2 storage branches) acquired during a first professional experience at European institute for Energy research, Karlsruhe, Germany. 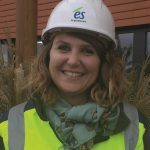 She joined ES-Géothermie in June 2017 as geochemical engineer, contributing to EU Destress project – implementation of chemical stimulation at Soultz geothermal site. She is also contributing to the geochemical monitoring (fluid geochemistry, scaling & corrosion issues) of the two geothermal plants, Rittershoffen and Soultz-sous-Forêts. 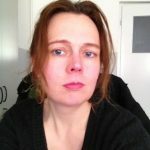 Simona Regenspurg is a geologist and geochemist based at the Helmholtz Centre Potsdam GFZ German Research Centre for Geosciences. After working many years in the field of environmental geochemistry at various institutes in the Unites States (Colorado School of Mines), in Sweden (KTH), and in Switzerland (EPFL), since 2009 she is employed at the International Centre for Geothermal Research (ICGR) at the GFZ. The ICGR is currently involved and coordinates many Horizon2020 projects such as DESTRESS, GEO-Well, SURE, IMAGE, and GeMex. At the ICGR her work covers research within all geochemical topics associated with the exploitation of deep geothermal energy as well as aquifer thermal energy storage (ATES) systems. The focus of her work group “Geofluids” within the ICGR is on understanding and controlling scaling but also on issues of corrosion, and on environmental aspects associated with the exploitation of geothermal energy. For two years she is also guest lecturer at the Freie University of Berlin (FU) at the Department of Hydrogeology. 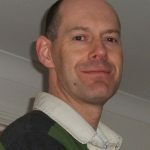 Chris Rochelle, BSc (Hons) Chemistry with Geochemistry (Leicester University), PhD Geology (Leeds University) is a Senior Geochemist with over 30 years research experience into various aspects of the geochemistry of fluid-rock interactions. Much of this work relates to ‘Energy’ – either in terms of energy supply (e.g. geothermal systems, thermal energy storage, gas hydrates), or the subsurface disposal/storage of waste materials from energy generation (e.g. CO2 capture and storage, radioactive waste). 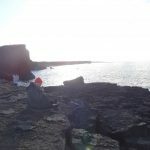 His research interests centre around geochemical process understanding, and to facilitate this, he uses the experimental facilities at the BGS, in particular the Hydrothermal Laboratory. Current geothermal interests include: leading the UK part of two H2020 projects (CHPM2030 – combining heat power and metal extraction; and GEMex – European-Mexican geothermal co-operation), helping lead the geochemistry task in the developing Krafla Magma Testbed (KMT), and contributing geochemical understanding to a new deep, engineered geothermal demonstration project in Cornwall, UK. 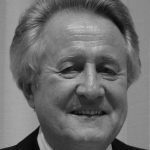 Ladislaus Rybach is of Hungarian origin, emeritus professor of geophysics at ETH Zurich, co-founder, now Scientific Advisor of ETH spin-off company GEOWATT AG Zurich. He is active worldwide as expert and lecturer, President 2007-2010 of the International Geothermal Association (IGA), Co-founder of the IEA Geothermal Implementing Agreement and Executive Committee Past Chairman; Honorary Doctor and Professor of Eötvös University, Budapest. 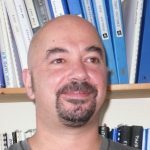 Péter Szűcs has been working as a professor of hydrogeology at the Institute of Environmental Management of the University of Miskolc. His special fields are connected to the complex investigations of groundwater flow and geothermal systems. He is also interested in the sustainable utilization of groundwater resources. Improving groundwater modeling tools is also in the focus of his research activity. Péter Szűcs received his PhD title in applied Earth Science from the University of Miskolc in 1996. He obtained the Doctor of Science (DSc) title in hydrogeology from the Hungarian Academy of Sciences in 2009. 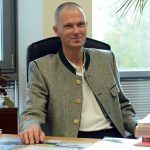 Jörg Zotzmann is a chemist and has obtained his PhD in the field of Organic Chemistry from Leipzig University in Germany. His research focussed on organic compounds with medicinal interest as well as multifunctional polymers. 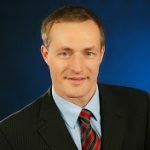 He holds a MBA degree from Potsdam University with specialisation on project controlling. Since he started research at the GFZ, his interest concentrates on the chemistry of geothermal fluids in general and scaling in particular. In the GFZ fluid-chemistry lab Jörg conducts research on scaling and scaling inhibitors by applying experimental and analytical techniques under high pressure/high temperature conditions. In 2016 he was assigned the administrative manager of the H2020-SURE project. The H2020 project “CHPM2030 – Combined Heat, Power and Metal extraction from ultra-deep ore bodies” aims to develop a novel technology which combines geothermal resource development, metals extraction and electro-metallurgy in a single interlinked process. It will be implemented through the cooperation of 12 partners from 10 European countries. In order to improve the economics of geothermal energy production, the project will investigate possible technologies of manipulating metal-bearing geological formations with geothermal potential at a depth of 3-4 km and even deeper. In this way, the co-production of energy and metals will be possible and may be optimised according to market demands in the future. The project will provide a proof of the technological concept on a laboratory scale. The geochemistry of the target rock bodies and the geothermal fluids are crucial points for the whole process as they have a basic effect on the feasibility of the technology. after drilling, for assessing the agreement of prediction and findings and for deriving conclusions for a general guidance to identify deep supercritical conditions. In following these general objectives, a number of more specific goals have to be reached. To determine the physical condition before and after the drilling and to improve the definition of the expected target, seismic measurements and new data analysis methods will be applied. Combining these new measurements with existing but newly reprocessed 3D seismic reflection data and geophysical logs along the well, we obtained a most comprehensive geological and physical characterization of the K-Horizon and its environment. In particular, the geochemical monitoring in real-time during drilling is an important guidance tools to forecast and anticipate possible problems while approaching the supercritical reservoir, and are a link to the last phase, i.e. characterization of the condition at depth after the completion of the drilling phase. DESTRESS is aiming to demonstrate methods of EGS (Enhanced Geothermal Systems) and thereby expanding knowledge and providing solutions for a more economical, sustainable and environmentally responsible exploitation of underground heat. DESTRESS improves the understanding of technological, business and societal opportunities and risks related to geothermal energy. The concepts explored are based on experiences in previous projects and developments in other fields, mainly the oil and gas sector. Recently developed stimulation methods are to be adapted to geothermal needs, applied to new geothermal sites and prepared for the market uptake. The main focus lays on stimulation treatments with minimized environmental hazard (“soft stimulation”), which address site-specific geological requirements. Best practices in creating a reservoir with increased transmissivity, sustainable productivity, and a minimized level of induced seismicity will be developed. For demonstrating DESTRESS concepts, existing and new project’s test sites, pilot and demonstration facilities in Lithuania, France, Switzerland, the Netherlands and South Korea were chosen. The concept of “soft-stimulation” includes multi-stage fracturing, cyclic stimulation as well as thermal-chemical stimulation. The goal is to improve the geothermal reservoir’s hydraulic properties without producing earthquakes or causing damage or change of any environmental parameter according to existing regulations of the mining and water authorities in all countries involved. The geochemical aspects within DESTRESS involve fluid analysis before and after stimulation treatment at the different sites to predict and prevent potential scaling reactions. The GEMex project represents a cooperation between European and Mexican consortiums, which was formed from the EERA joint programme of geothermal energy. The main objectives are addressed to increase the geothermal development in Mexico, reduce pre-drill mining risk and improve the definition of deep reservoir structures. This means also having better predictive models for reservoir characterisation and for sustainable site development. The geothermal system at Los Humeros is exploited since 1982. The northern sector of the area is much hotter (>380°C) than the wells used for production today. The development of this part of the reservoir presents a challenge, both because of the high temperature and because of the water chemistry. The uncertainty about the potential of this resource and the technical challenges involved with the development of such a super-hot geothermal system currently prevent its economic development, that will greatly benefit from a well constrained conceptual model. The role of the geochemical activity is to provide information for the understanding of the relationships among geological structures, physical and chemical properties of high temperature geothermal resources in volcanic systems, and processes determining their development, by interpreting the results using an interdisciplinary approach. The goal is to identify the main recharge areas of fluids, to estimate the thermodynamic equilibrium conditions (P and T) for the active reservoirs (using well known geothermometers and also developping auxiliary chemical and isotope geothemometric systems) and to identify secondary processes (as steam separation, partial condensation, mixing, dissolution and precipitation of mineral phases) by means of chemical and isotopic characterization of cold and hot fluids, hydrothermal alteration data, numerical modeling and laboratory experiments on fluid-rock interaction processes. Past geochemical processes are also studied using mineral assemblages in exhumed system (Las Minas). Diffuse degassing is studied in order to identify the correlation between flux anomalies and regional/local faults (i.e. pathways of fluid migration within the system, structural permeability, origin of gases). In Acoculco geothermal site this activity will be very important, in order to define the baseline condition prior the stimulation phase. The GeoWell project aims to develop reliable, economical and environmentally friendly technologies for design, completion and monitoring of high temperature geothermal wells (>400°C). These include cement and sealing technologies, material selection and coupling of casings. Methods of temperature and strain measurements in wells to monitor their integrity will be developed as well as methods for risk assessment with respect to the design and operation of high-temperature geothermal wells. One of the tasks in GeoWell is dedicated to describe and predict cement behavior at high temperatures relevant to geothermal energy (up to 500 °C). This work is focused on 1) Modelling water phases at temperatures above supercritical point. 2) Checking the existing codes and assessing the feasibility of modifying them for higher temperature and 3) Extend the thermodynamic database for the relevant cement mineral phases. This work aims to bring modelling capabilities to temperatures higher than possible today. The Horizon 2020 MATChING project focusses on the reduction of water consumption for cooling purposes in power generation. Today, power production represents around the 17% of the total water use in the EU. The MATChING project has two links with geothermal brines. In WP3, the project aims at the development of advanced polymeric coatings with upgraded corrosion protection and anti-fouling characteristics. This should extend the life cycle of carbon steel components in geothermal installations. The focus is on thermal stability up to 140°C, chemical resistance, durability and cost effectiveness. The effectiveness of the coatings is being evaluated in the lab using common characterization techniques in combination with a newly designed test where samples are exposed to synthetic brines to maximum temperature (140°C) and pressure g (40 bar) operating conditions for 500 h. Subsequently, the best performing coatings will be tested under operational conditions is field tests. WP6 focuses on water treatment and recovery. The project will demonstrate different membrane based technological solutions to be used in improving cooling water treatment, focusing also on the exploitation of alternative water sources. The global objective of the SURE project is to increase the number of economically viable geothermal wells, and thereby reducing the environmental impact associated with the provision of geothermal energy. Within this project, the radial water jet drilling (RJD) technology will be investigated and tested as a stimulation method to increase inflow into insufficiently producing geothermal wells. Reduction or prevention of scaling is commonly achieved by injecting scaling inhibitors into the geothermal circuit. Inhibitor-efficiency tests can be carried out in static or dynamic experiment set-ups allowing measurements at high pressures and high temperatures (HPHT). Suitable analytical methods have to be selected depending on the nature of the scales and specific advantages and disadvantages of the methods and the related sensors in a HPHT environment. At GFZ calcite scaling inhibitors were evaluated in static batch tests at HPHT conditions by monitoring the pH-value. Deep tunnels in mountainous regions cause groundwater inflow from rocks above. The inflow can create technical problems during construction, which is mainly warded by concrete injections. The chemical signature of the inflowing waters usually reflects the composition of country rocks; deviations can occur in permeable fracture zones. Waters with high chloride and/or sulphate contents can attack the concrete lining and its steel reinforcement installed to stabilize the tunnel. Concentration limits (e.g. 600 and 2000 mg/l SO4) and the properties of concrete to cope with such waters are defined in various norms. At tunnel sections with such inflows, correspondingly prepared concrete is sprayed and lined. Inflowing waters and country rocks are usually in thermal equilibrium. Water temperatures can be high (up to >50°C), especially in deep tunnels below mountains. The waters are collected and channelled to the portals. In Switzerland, environmental regulation limits the discharge (l/s) into nearby rivers; in such cases cooling ponds or even cooling towers are needed, at least during the tunnel construction phase. Therefore, energetic use for space heating, greenhouses, fish farming at the portals is more advantageous and can be profitable. Examples of hydrochemical characteristics and tunnel cementing measures on one hand, and of geothermal utilizations at portals on the other, are presented from the Gotthard (76 km) and Lötschberg (36 km) Base Tunnels, Swiss Alps. Increasing the concentrations of dissolved metals in EGS brines will be highly advantageous for the economic development of schemes for the combined extraction of heat, power and metals (CHPM). However, in doing this we need to take account of the local environment, and ensure that any additives to the brines do not have unwanted consequences. As part of the EU Horizon2020 ’CHPM2030’ project, we have been assessing the potential for enhancing metal release from EGS operations within deep ore bodies by undertaking laboratory-scale leaching experiments over a range of pressures and temperatures. This has involved using a range of additives in aqueous solutions as ’mild’ leaching agents. Initial observations from this ongoing work show that some solutions increase dissolved metal concentrations relative to simplified brine, which is consistent with enhanced dissolution of some common ore metals. Whilst some metals do show significant increases in concentration, for others the change is relatively small. One reason for this may be competition between ions for complexants in solution, leading to reprecipitation of some metals after initial dissolution. Initial results will be presented and discussed in terms of the CHPM concept. It is a well-known fact that the geothermal energy potential is very high in Hungary. The natural conditions concerning the heat flow, the geothermal gradient and thermal water resources are also considered to be very good. The chemical investigations revealed that the compositions of the geothermal fluids are very versatile. On one hand, this fact is a real advantage concerning for example the balneology use, because there many different mineral and medicinal waters in Hungary. On the other hand, the TDS values are high and the geothermal fluids can be very corrosive in many cases. These phenomena can be real obstacles in the expected increase of the geothermal energy related investments. The presentation will mainly focus on the Hungarian geothermal concession areas. The comparison of the chemical composition data of geothermal fluids can derive some interesting conclusions, which can be useful to increase the number of successful deep geothermal projects inside the Carpathian Basin. After almost 30 years of research, the EGS power plant of Soultz-sous-Forêts is celebrating its first year of successful power production. This geothermal site, with 1.7 MWe installed gross capacity, produces electricity from an Organic Ranking Cycle, connected to a geothermal loop composed of one production well and two injection wells. One of the injection wells, named GPK4, has been identified as a good candidate in the frame of H2020 DESTRESS project to be treated by soft stimulation. Before any treatment, a baseline acquisition is required to assess the well conditions, hydraulic properties and geochemistry of the geothermal brine. In the framework of DESTRESS project and to ensure the sustainable exploitation of the plant, the brine is geochemically monitored. Physical parameters, electrical conductivity, density and pH are measured on-site with an experimental device enabling to keep as much as possible dissolved gases into the brine. The monitoring is in progress, giving stable physical-chemical values and will be completed by chemical analyses, like major elements Na-Ca-Cl. Iron content will be also monitored at production and injection sides as an indicator of corrosion issues. Regarding well hydraulic behaviour, injectivity index is monitored, currently reaching 0.54 kg/s/bar. Utilization of underground reservoirs for geothermal energy extraction, particularly using CO2 as a working fluid, requires an in-depth understanding of fluid, solute (e.g., dissolved CO2 and minerals), and energy (heat, pressure) transport through geologic formations. Such operations necessarily perturb the chemical, thermal, and/or pressure equilibrium between native fluids and rock minerals. The involved physico-chemico-thermo-mechanical processes often lead to modifications of permeability and cause immense consequences for fluid, solute, and energy transport, injectivity, and/or withdrawal in/from such reservoirs. Here we report evolutions of permeability and water chemistry observed in core-flood experiments using CO2-charged fluids under formation conditions. During the experiments, fluids were injected at constant flow rates in a recycling mode where outlet fluids were re-injected into the specimen. This allows us to examine geochemical reactions from far-from-equilibrium to equilibrium. We also analysed the outlet fluid chemistry samples throughout the experiments and imaged our rock cores before and after the flow-through experiments using X-Ray Computed Tomography (XRCT). Water chemistry indicates precipitation of secondary minerals during the experiments. Together with SEM and XRCT data, we aim to interpret the changes in permeability, porosity, and (reactive) surface area at the core scale. Moreover, we will present numerical modelling results of 1D reactive transport through the same setup as the experiments to facilitate the understanding of alteration of hydrogeochemical properties. Fluid flow in geothermal reservoirs is controlled mainly by underground physical, chemical and biological processes. However, those processes and especially their interactions are still not well understood. Laboratory experiments or numerical reservoir modelling is the main approach for investigation. Nevertheless, effects are already visible in field data. We investigated a wide range of first hand field data from the geothermal field Klaipeda in Lithuania. Solid and fluid samples have been analyzed on its structure, hydraulic properties, chemical composition and biological activity. For 15 years, this geothermal site has provided 41 MW heat for city-buildings. Its flow rates at injection site decrease systematically since start of operation. This results from physical, chemical and biological processes that disturb fluid flow in the reservoir. Main result of this study is to better understand the single processes and their coupling effects on fluid flow. Even in cases that single parameters independently indicate rich reservoir properties, the coupling with other processes can lead to fluid flow barriers decreasing the reservoir performance. In order to overcome these fluid flow barriers, a full understanding of all processes and their interconnections are needed. It allows consequently designing stimulation treatments and suggestions for a better sustainable reservoir operation. Previous studies have suggested that CO2 could be injected into engineered geothermal systems, either as a free phase to become the heat extraction fluid, or as a dissolved phase for it to become sequestered. The former relies upon CO2-water-rock reactions to seal fluid-flow features at the periphery of the CO2-filled region, and the latter relies upon similar reactions to trap CO2 as a distributed solid phase throughout a volume of hot rock. It is important therefore, to understand the directions, rates and magnitudes of such reactions, but whilst most studies have relied upon predictive modelling, few comparisons with experimental data have been made to help validate the models. Translating relevant experimental data from high temperature CCS studies may be a way to provide the geothermal community with test cases to help fill such a data gap. Here we report results from a 1 m long flow experiment, where 5 mLlh of CO2-saturated brine was reacted with a precisely-known assemblage of pure minerals packed into a 3.6 cm diameter titanium column and reacted at 130°C and 300 bar for 3.5 months. A relatively low flow rate was used to facilitate increases in solute concentrations and development of chemical reaction fronts, and hence zonation in the distribution of secondary minerals. Dissolution dominated at the fluid inlet end of the column, though this was associated with the precipitation of a platy, aluminium-rich phase. Further along the column, solution acidity was buffered by feldspar dissolution, and concentrations of dissolved CO2/bicarbonate reduced due to the precipitation of an iron-rich carbonate phase. 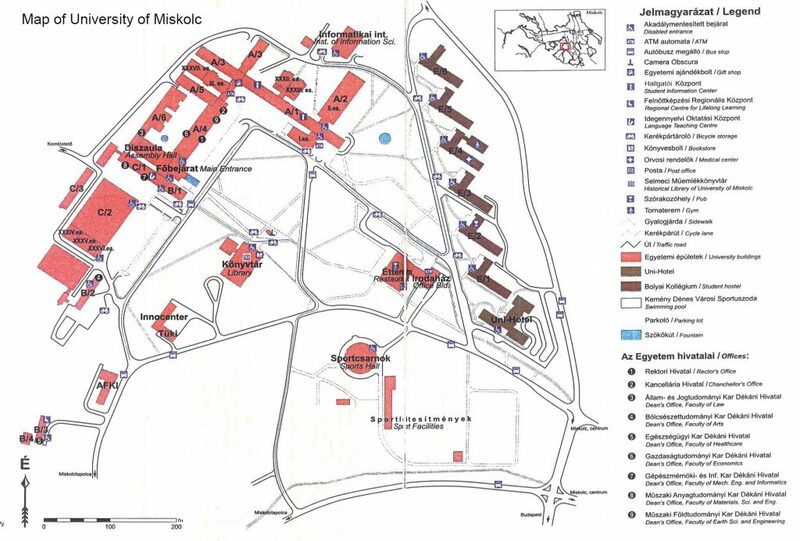 The workshop will be held at University of Miskolc, H 3515 Miskolc-Egyetemváros, Building A1, Room 101. Established in 1735 as an Academy of Mining, Metallurgy and Forestry, the university is the oldest academic institution dedicated to mining in the European Union. The Faculty of Earth Science and Engineering has more than 280 years of teaching and research experience in relation to mining. The Faculty has wide international cooperation and strong industrial partnerships. International teaching and research programs are carried out in different fields of Earth sciences including mining, minerals processing, environmental and geothermal engineering. You can use your free time to visit the unique spa close to the University, in Miskolc-Tapolca and have a bath in a naturally formed swimming pool in a cave (http://www.barlangfurdo.hu/en/cave-bath).